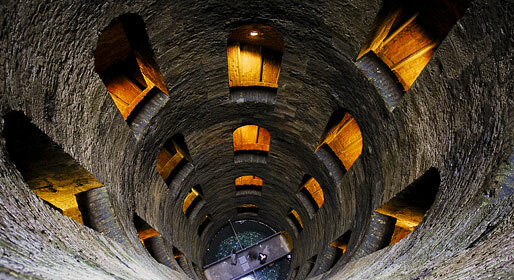 Whilst few people know that the famous Well of St Patrick was constructed in Orvieto when Pope Clemente VII sought refuge in the city, many more are familiar with the fine wine produced in the surrounding vineyards. 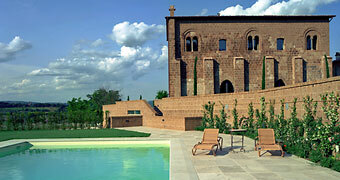 But Orvieto is also an architectural treasure trove with a host of fine buildings dating from the 13th to 16th century. In addition to St Patrick's well, constructed to conserve the water of the Rocca dell'Arbornoz, one finds the Cathedral, Palazzo dei Sette, Palazzo del capitano del Popolo, the church of St Giovenale, Palazzo Soliano, the Church of St Andrea, the Church of St Domenico. 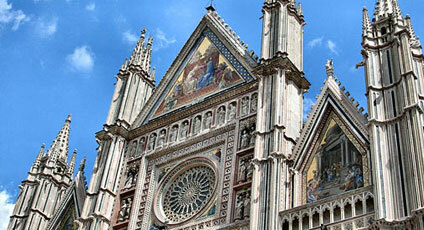 Orvieto is also home to prestigious museums such as the Museum Opera del Duomo and the Museum of Modern Art. Visitors should be sure to visit the underground city of Orvieto, the Necropoli of the clay Crucifix and the Mancinelli theatre. 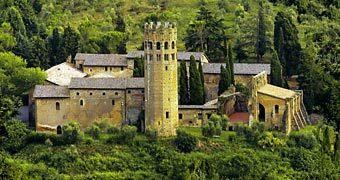 Not to mention Orvietto's Cathedral, erected to consecrate the miracle of the blood, and where one can admire the Corporale and St Brizio chapels with frescos by Signorelli and Perugino.